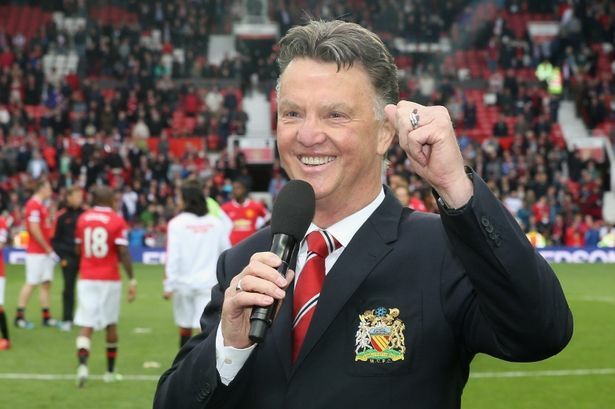 At Manchester United’s end-of-season awards ceremony, Louis van Gaal was in a celebratory mood. Rosy-cheeked, full of vim, vigor and (probably) spirits, the Dutch manager waxed lyrical about his first season at the helm of the Red Devils. Van Gaal talked about the club’s rough start to the season, captivating the listeners with his emotional address, periodically shouting to the delight of the pro-United crowd. Full of histrionics, gesticulation and pure passion, van Gaal’s soliloquy was received in a positive fashion by supporters and opposition fans alike, with onlookers impressed by his passion and delivery. Proving he’s not just a football manager, he also scolded attendees for not properly applauding a saxophonist who performed earlier in the night. Read the full (amazing) transcript of his speech here.